Based in Minneapolis, MN, HALO Innovations, Inc. has a singular mission: to help make safe sleep easier for families. Founded in 1994 by William Schmid, who began researching sleeping environments after he lost an infant daughter to SIDS three years earlier, HALO is dedicated to developing products that set new standards for the safety and improved health of sleeping infants and bringing peace of mind to one’s home. In addition to the Bassinest, HALO is also known for their line of HALO SleepSack wearable blankets and HALO SleepSack Swaddles. HALO products are used in over 1500 hospitals nationwide to help new parents practice safe sleep for baby at home. 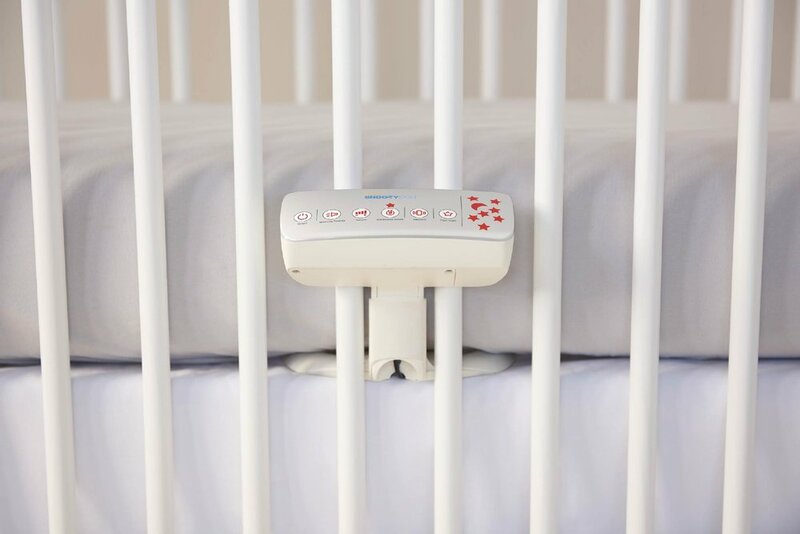 HALO’s natural progression to develop new products and make safe sleep easier for families resulted in the creation of a completely new category: crib/toddler bed soothing devices. HALO thought of everything to keep babies sleeping, and parents, better and longer to incorporate into the development of the SnoozyPod: gentle vibration, an amber glow nightlight that won’t disrupt circadian rhythms, and soft, soothing sounds to drown out household noises that may disrupt baby’s sleep. HALO approached us with an opportunity to help them refine their idea into an attractive and effective design. The project had many challenges and required design refinement, electronics development, UI & UX design, App development, and new mechanical solutions. 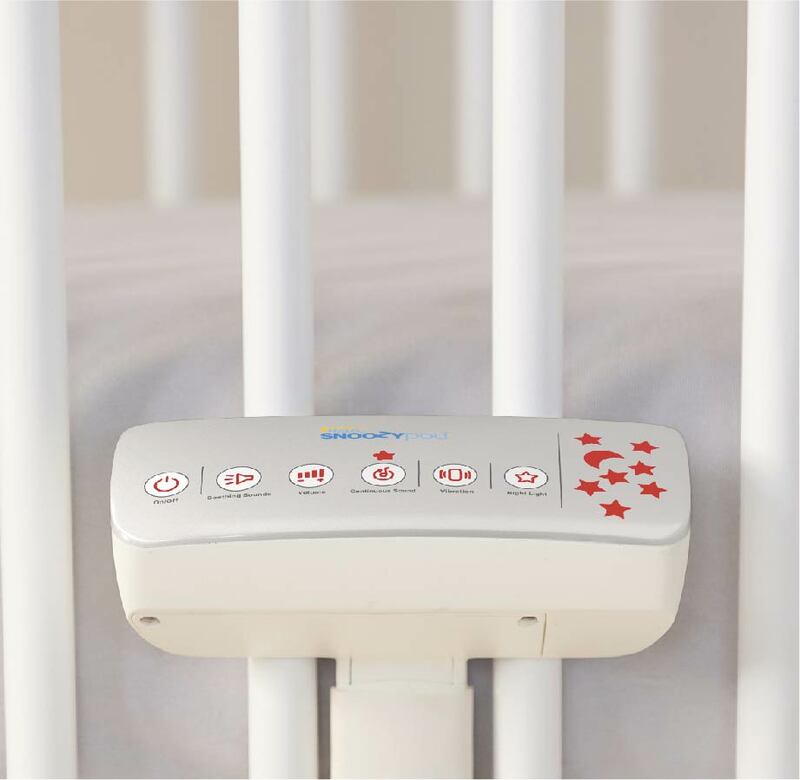 One of the major challenges was to create a device that produced a variable level of vibration without rattling the crib or toddler bed. We overcame the design and engineering obstacles with a patent-pending design that transfers the majority of the soothing vibrations to mattress and not the crib springs or frame. Now the SnoozyPod provides relaxing gentle vibration to the child with little or no noise from the bed. This was all done with cost-to-market in mind, because HALO wanted to create a device that would be affordable to consumers as well as meet their RIO requirements and payed close attention to the cost of parts, processes, and development. 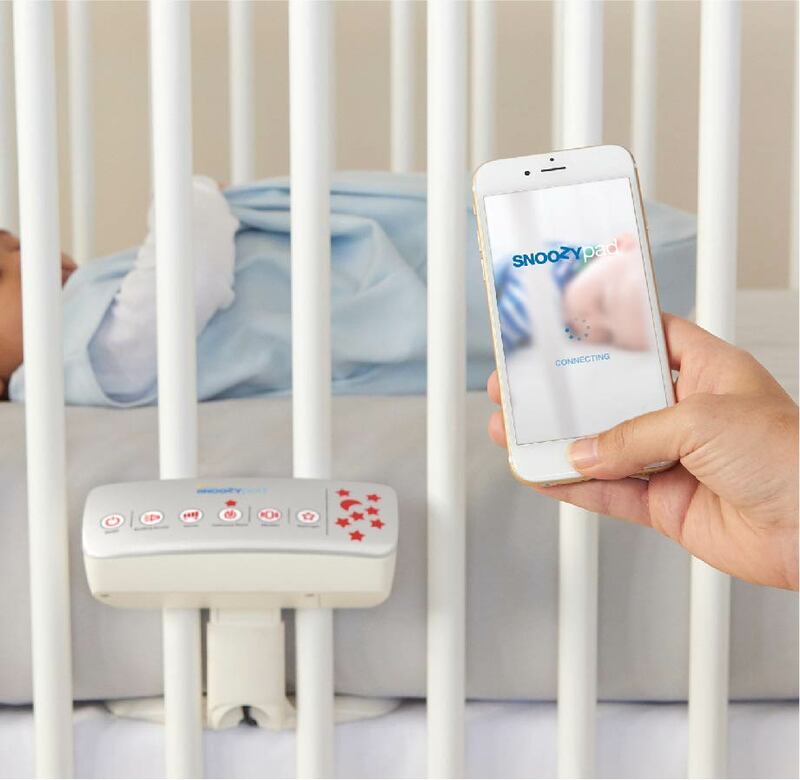 SnoozyPod features a back-light display with capacitive touch buttons insuring durability of the controls and offering protection from accidental spills or other fluids. It also has mobile device connectivity as well as an App for iOS and Android with intuitive controls. The SnoozyPod is portable and can be used with batteries or plugged into a wall outlet. The end result is a well-refined product for discerning parents. 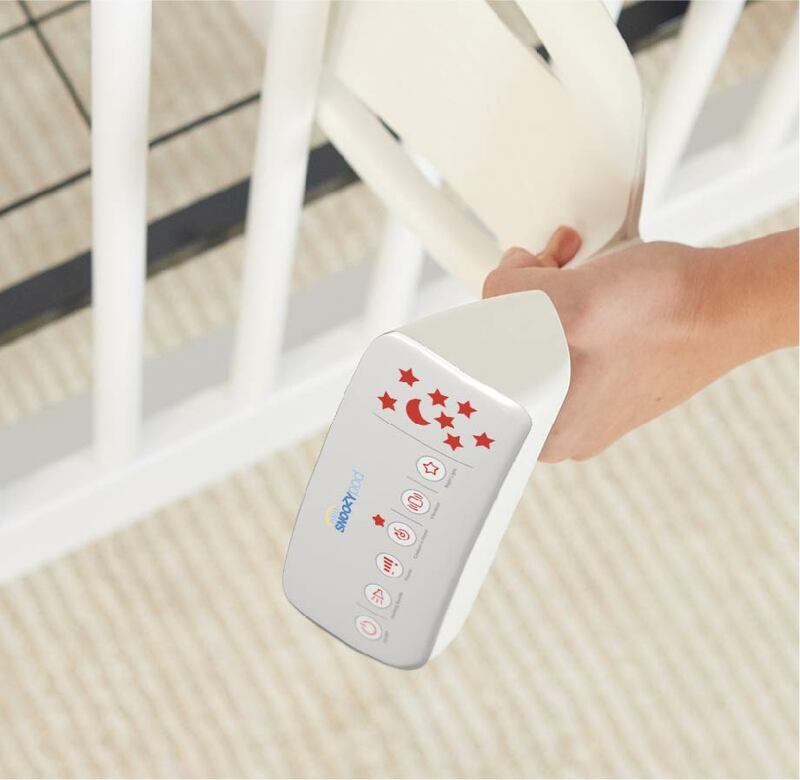 The SnoozyPod brilliantly conceals itself within the crib or toddler bed, showing only the controls. Gentle vibration, soft, amber glow nightlight, and soothing sounds can be activated from a distance. Parents can effortlessly control vibration, light, and sound from anywhere in their home with the App or by the touch-sensitive controls on the device.